The staff at Daughters of Miriam Center/The Gallen Institute consists of a team of individuals dedicated to providing the best possible care to our nursing home residents, medical day center clients, and apartment tenants. Caring for our residents, tenants and clients always requires teamwork. We are proud of our history of providing the highest quality services for seniors and we welcome skilled, compassionate personnel to our family, trusting that their association with us will be rewarding as we fulfill our responsibilities to the elderly at Daughters of Miriam Center. Many staff members work directly with the residents, tenants and clients while others work behind the scenes helping Daughters of Miriam Center run smoothly. Each employee is responsible for the well-being, safety and happiness of those who live here. As Americans live longer and the percentage of people over age 65 increases, more caregivers are needed to meet the needs of our seniors. Their quality of life depends upon the care we give. We depend upon every employee to help satisfy their needs and provide exemplary services to those entrusted to our care. For inquiries about these positions please contact Human Resources at 973-253-5303, fax resumes to 973-253-5737, apply in person, or email humanresources@daughtersofmiriamcenter.org by clicking the link. Daughters of Miriam Center is an equal opportunity employer and does not discriminate on any basis. RN - with benefits. Per diem. Full-time and Per Diem nursing positions are available on all shifts: 7AM-3PM, 3PM-11PM and 11PM-7AM. Responsibilities include administering medications, providing treatments, MDS and directing CNAs in resident care. Reports to the Nursing Supervisor. Applicants must possess a current, unencumbered license to practice as a registered nurse in the State of New Jersey. Must be CPR certified. 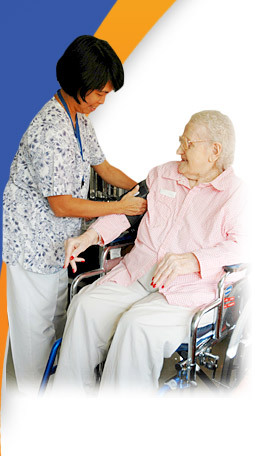 CNAs are responsible for all resident activities of daily living. Applicants must hold certification from the State of New Jersey Department of Health. Responsibilities for occupational therapists include developing and evaluating treatment plans for the residents, maintaining treatment records, and scheduling, administering, and supervising direct resident care. Position requires a State of New Jersey occupational therapy license. Responsibilities include developing, evaluating, and implementing treatment plans for the residents and maintaining records. Position requires a State of New Jersey physical therapy license.